Any meditator, beginning or experienced, finds themselves at times dealing with either a busy or drowsy mind. In fact, much of meditation is spent in pulling ourselves out of or back from one of these states, to our chosen meditation focus. One metaphor that I like for meditation is that of tuning a guitar string. If the string is too tight it might break, but if it is too loose, it won't make a sound. In meditation, if our mind is too tense, it often becomes busy and we lose our focus, but if it is too loose, we fall into a stupor or drowsiness. Meditation practice is the process of finding the middle ground - a clear, alert and yet calm and focused state. 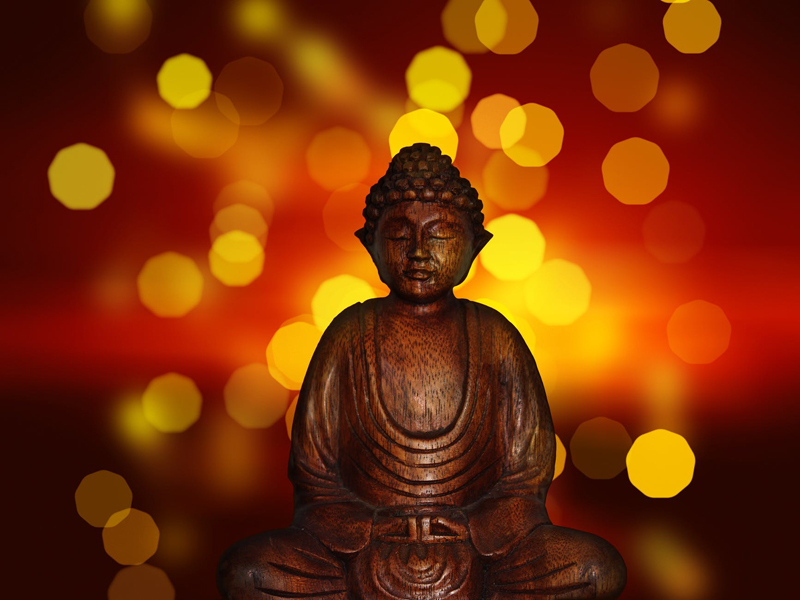 Every meditation tradition and teacher has advice for how to deal with these meditation challenges, but I particularly like the teachings of Bhante Gunuratana, author of Mindfulness in Plain English, a classic nuts-and-bolts guide to meditation. Although written in the context of the Vipassana tradition, and therefore focused on breath and insight meditation, much of the book covers concrete suggestions for dealing with distractions of all types, and is therefore relevant to all kinds of meditation, and for both new and experienced meditators. One distinction Bhante Gunuratana makes is between 'thinking' and 'sinking' mind. Thinking mind is busy mind - when our thoughts bounce from thought to thought in a seemingly endless train of mental activity. It is very common for first-time meditators to be amazed at how busy their mind is, and to feel certain that meditation itself has caused the busyness. In fact, most of our minds are always this busy, and it is only when we sit down to meditate that we begin to realize this. "...sinking denotes any dimming of awareness. At its best, it is sort of a mental vacuum in which there is no thought, no observation of the breath, no awareness of anything. It is a gap, a formless mental gray area rather like a dreamless sleep." Many people mistake sinking mind for relaxation, or for detachment, as they assume that meditation should be a kind of emotionless, sensory-deprived state. In fact, ideally in meditation we discover a clear, alert, mindful, yet calm ground of our awareness. Instead of manufacturing this as a state, we discover it beneath all states, when we let go of both thinking and sinking mind. As in the guitar example, meditating is a process of adjusting our mental string, and most of us swing back and forth between thinking and sinking mind during each meditation, although we may be more prone to one than another. Our tools for tuning our strings are mindfulness and concentration. Centering our mind through concentration and focus is the key to working with thinking mind. We use one-pointed concentration, pulling our mind back over and over from distractions, to quiet our mental activity. Whatever is our intended object of meditation, whether it be our breath, a chakra, a visualization, a mantra, or awareness itself, we pull our mind back over and over to this focal point, attempting to do so with non-judgment. Although it is sometimes useful to contemplate the nature of our distractions - the major themes, and how long each lasts - after doing this briefly, we pull our mind back to our focal point. For sinking mind, mindfulness, or inquiry, is our tool. We can attempt to examine the nature of the sinking mind itself, looking at its qualities as a sensation, and comparing this with alertness. We can also contemplate how it impacts our body, or emotions. Doing this helps us to pull back from the dimness of this state, into an alert, inquisitive state. From here, we can return to our point of focus - again whether this is our breath or something else. If sinking mind is a recurrent problem, it's sometimes helpful to do more active meditations for a time - adding counting to a breath meditation for example, rotating through the chakras in a chakra meditation, or focusing on our senses mindfully - what we hear, smell, etc. - in order to keep ourselves in an alert, inquisitive state. Navigating between these two states of thinking and sinking mind is something all meditators deal with. With practice, the length of time it takes to recognize these states gradually grows shorter, and the distractions themselves may change - we may get captivated by bliss for example, instead of thoughts about dinner - but we all work with this balance, with 'tuning our string'. When we find the balance, we discover the source of awareness itself, which is what fuels both mindfulness and concentration, and with this discovery, our awakening unfolds.